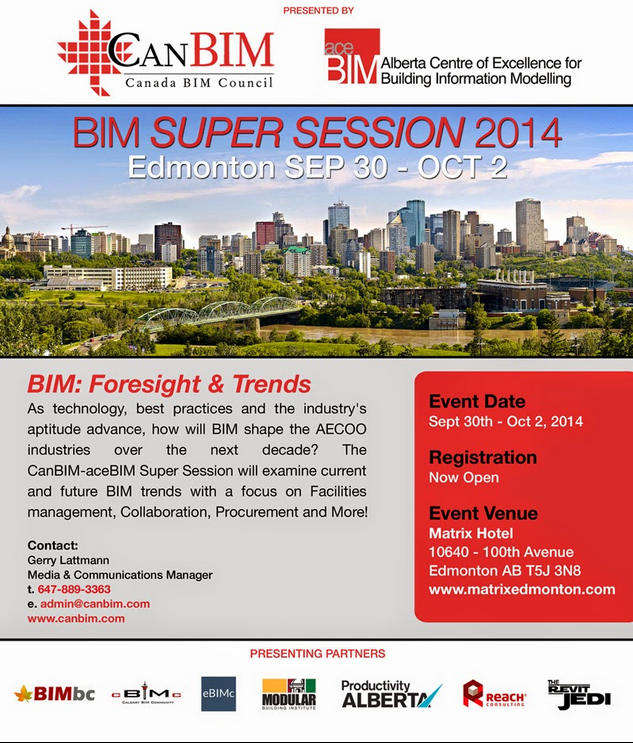 If you are in or around the Edmonton, Alberta, Canada area, or planed to be around Sept. 30th – Oct. 2nd, 2014 you should check out the BIM Super Session 2014. 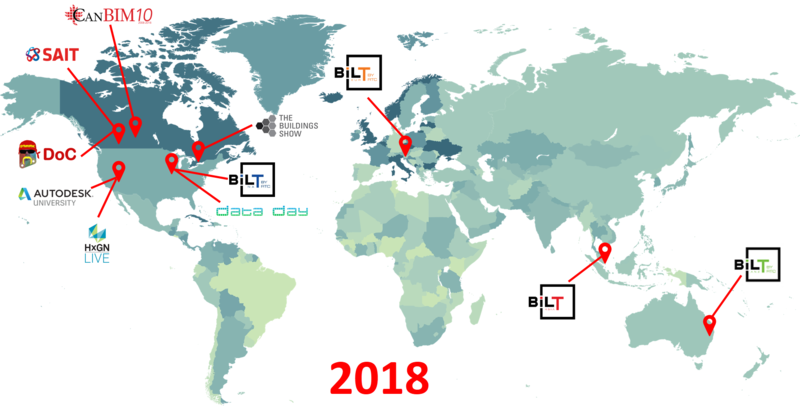 This is a join event put on by CanBIM and aceBIM that will focus on the current and future trends of BIM, with topics areas like Facilities Management, Collaboration, Procurement and more. You can get more info about the event, and all the registration details at the CanBIM website.